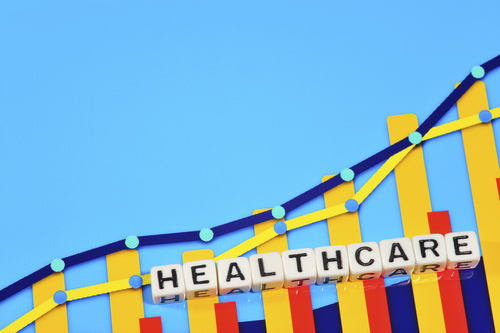 Healthcare industry is an on-going topic of debate which is ever-changing. To improve patient’s health, scientists continue to march for inventing new in medicines and treatments. There has been continuous change in the way providers interact with patients and deliver change with the ever-upgrading technology that never rests for the betterment of our lives in every aspect. With the adoption of Electronic Medical Records, it is now easy to record, share the patient’s medical information in digital form to make better decisions about the patient’s care. A custom app, Corrie, was designed to test patients with heart problems. The test was organized on 60 patients in the Hopkins’ Hospital. They were asked to download this app on their phones and trained to use it while they were in the hospital. Yang being the researcher waited for a month to check the result of the app used by all 60 of them – and they were strikingly positive. Only 2 had come to readmit in the hospital out of 60. Corrie not just saved the lives of the people but, saved a lot of dollars too. As we combine health with medically smarter devices, we may begin to see the patient’s interaction with doctors without the need to visit them, which might become a thing of the past. This convergence of the health systems will give physicians a complete dataset of each patient for his long-term health. We hope that 2019 will bring new trends to the healthcare industry. Thus, the top 5 watchful trends are mentioned below. 1. Digital health applications will continue to expand care delivery models. The potential health applications are multiplying and adopted with each passing day to reduce the pressure of the waiting times, appointments fixing and many more. Individuals will be able to manage their own health with trending healthcare solutions & disowning the traditional system. Thus, heading towards digital health solutions like mHealth applications, PERS, telehealth platforms, RPM devices will help reduce the cost burden suffered by the patients with perennial health conditions. Further, we hope that touching the digitization will give actual solutions to the real problems within the health systems that will enable patients with the seamless experience of care. 2. Exponential gains of deep learning in healthcare will continue with AI getting broader. Artificial Intelligence is throwing a greater impact on health outcomes. High in demand this year split data training and synthetic data, are sure signs of advances. AI and deep learning tools can only be effective when used after accessing the right data. AI in healthcare could reduce costs and also increase efficiency on various platforms like radiology and primary care to the operating room. Furthermore, we hope to see Medical AI grow faster in low and middle-income countries. Deep learning in health care has broadened up integrating information from multiple modalities, characterized by the ability to reason and learn more broadly, to be more secure, fair, auditable and explainable. The productivity gain would rise from 10-15% over the next two to three years by the use of AI in selective healthcare workflows. Diabetic retinopathy, the most common cause of vision loss spread among 30 million Americans living with diabetes. 3. Internet of medical things and virtual reality to create an online infrastructure of healthcare. Virtual reality in healthcare is booming in not just treating but exploring in medical training. Maplewood Senior Living uses VR headsets to treat patients with dementia, diagnose internal organs 3-dimensional image for medical students for exploring medical procedure in a risk-free environment. Technology advances like the Internet of Medical Things (IoMT) are the next big thing driving the healthcare industry. A large number of data gathered from pregnancy tests to artificial joints with Internet-enabled medical devices are creating an online infrastructure of health systems. Thus, Deloitte expects the market of IoMT will be worth of $158.1 billion in 2022. 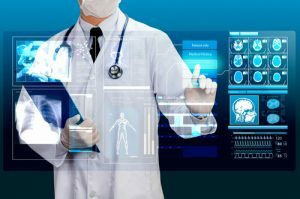 There are extraordinary IoMT applications that certainly have the potential to improve the healthcare industry. They are affecting everything – from individual care to national/global health system operations. IoMT works best when assisting remote patient’s care. 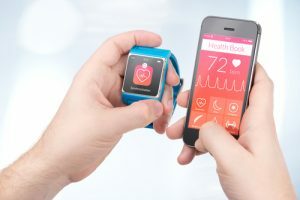 Using IoT connectivity, doctors can not only provide care but assist them with certain equipment, receive data for better understanding of their day-to-day health status, and modify care plans if necessary. There have been many examples of it, but one of the major relief from breathtaking pain is – Virtually Better (VBI), a VR platform that builds Virtual Reality environment for stress/pain management, substance use disorder, skills development, PTSD, and phobias. Therapists and clinicians put their patients in a real-life situation through IoT enabled products that could relate to their situation to treat their problems/disorders without medicine and report a good deal of relief. 4. Challenges faced by healthcare can be solved by blockchain. The blockchain isn’t confined to storing and analyzing data, but there is more to it. Blockchain’s intended purpose is to bring hundreds of thousands of people together governing their own medical records, permitting to share their records with others within their consent inter-state for best healthcare solution. Blockchain not just gives a 360° view of the patient’s genetic profile but keeps them secure and safe under an encrypted code. Thus, blockchain is the best tool to implement to keep records safe along with secure proof of work that complies with each state’s privacy and regulation. This decentralized method will not be impacted by the behavior of any organization nor any government or corporation can control it. Blockchain furthermore will be used as “blockchain-as-a-service”, that attempts to solve all the technical challenges that pose an obstacle to its adoption in the healthcare industry. This new technology could also make supply chains work more efficiently & transparent, improving warehouse & delivery of medical goods and supplies. 5. 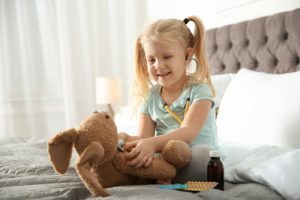 Chatbots and voice assistance providing solutions and improving patients’ experience. io – A bot that helps treat patients with anxiety and depression issues using principles of cognitive-behavioral therapy (CBT) & other clinical approaches. EVE – A digital receptionist of the biggest online hospital in Australia, Docto. This assistance answers all the frequent questions asked related to the medical services of the hospital. 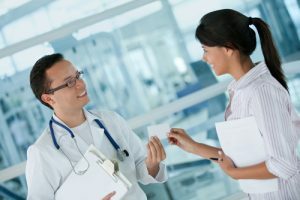 Moreover, it helps in the registration of a client, book appointment with a specialist, and connect with the duty doctor. Florence – Another great example of this technology, which is a reminder to your pills. Only mentioning the name of the pill and the number of times to be taken, will make Florence active. This chatbot will send a message to the patient every time when the pill is to be taken without fail. With the advances in the healthcare industry and the adoption of trending technology, the security breach has become another concern. Healthcare industry has struggled to try to keep their valuable data safe. Unfortunately, they lag the necessary cybersecurity standards despite investing in security measures. Still, digital technology is a fundamental part to improve both physical and mental wellbeing and overall effectiveness of the healthcare system. 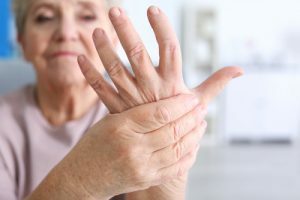 We can also expect to see how the market has caught its breath focusing on granular efforts in this year, most specifically in the healthcare industry, identifying patterns in care and recognizing the most effective treatments for the patient. These improvements not only bring hope to the patients but encouragement to their families with these advancements and improve patient’s care long-term. Ashley Marsh is a senior content writer at Maan Softwares Inc. She has been writing for various companies for over four years on a variety of topics. Ashley specializes in technical writing with an emphasis in mobile development, web design, and technology trends. Ashley finds covering the tech world to be an exciting and engaging experience as each day brings new and groundbreaking technologies to explore and write about. When she's not writing about tech she enjoys walking her two chihuahua-poodle mixes, Ginger and Pepper.